Well, it is that time of year. 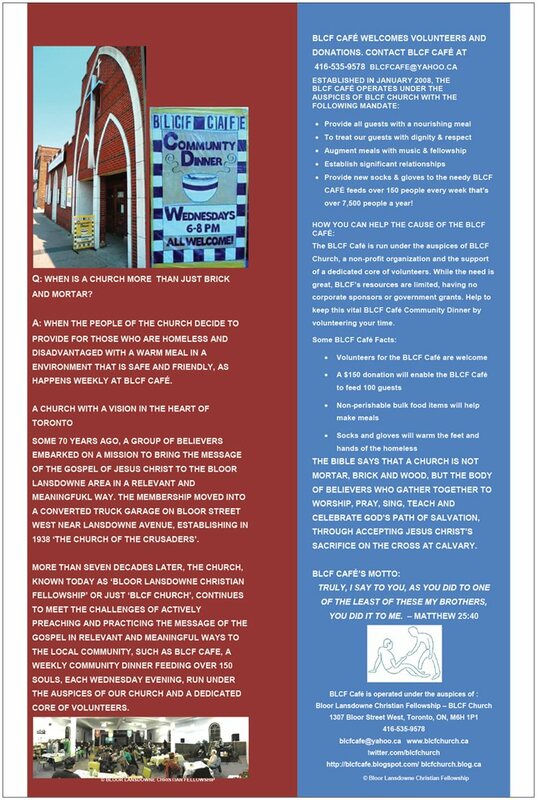 BLCF Cafe announces that the date for our Fall FUNdraiser is set to November 7, 2018, at 6:30 PM. 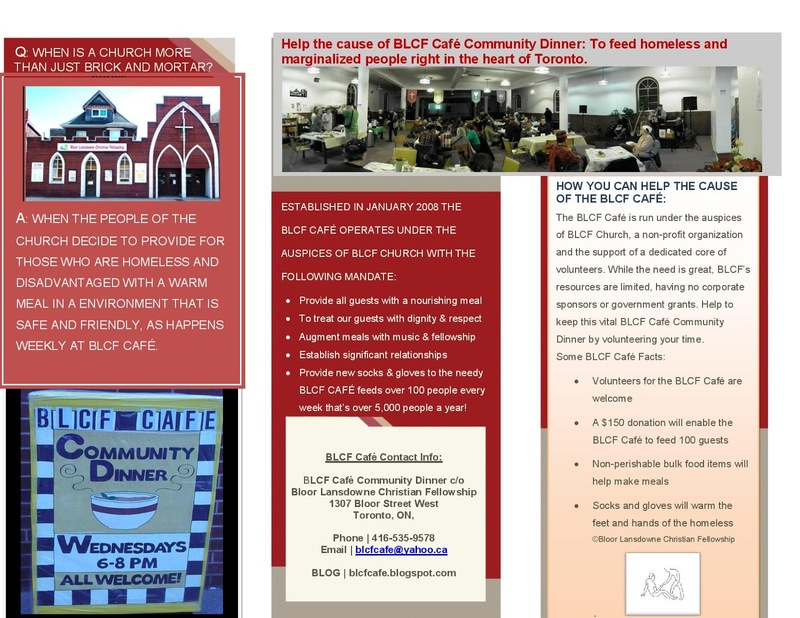 Support the BLCF Cafe’s cause of serving dinner to Toronto’s homeless and marginalized, right in the heart of the city. 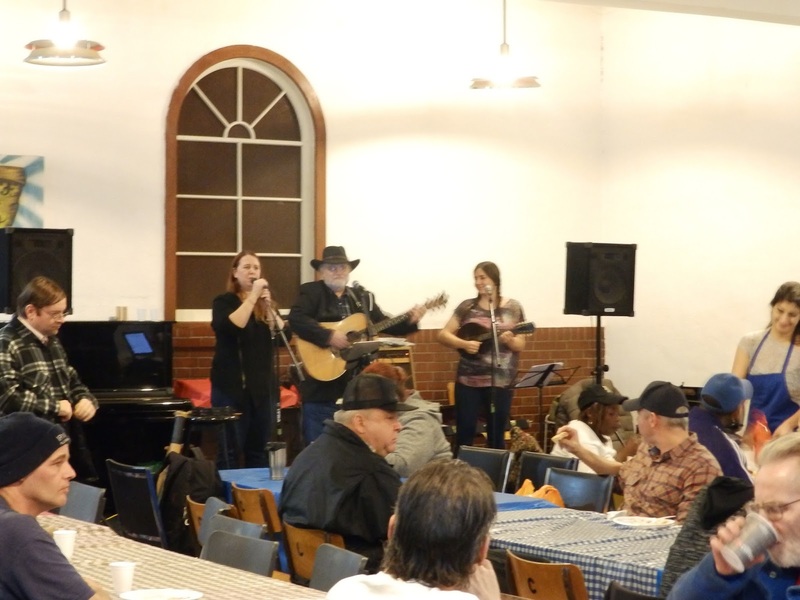 Invite a friend for an evening of great Bluegrass music performed by Coldwater Roots, who are able to put the FUN into FUNdraising. 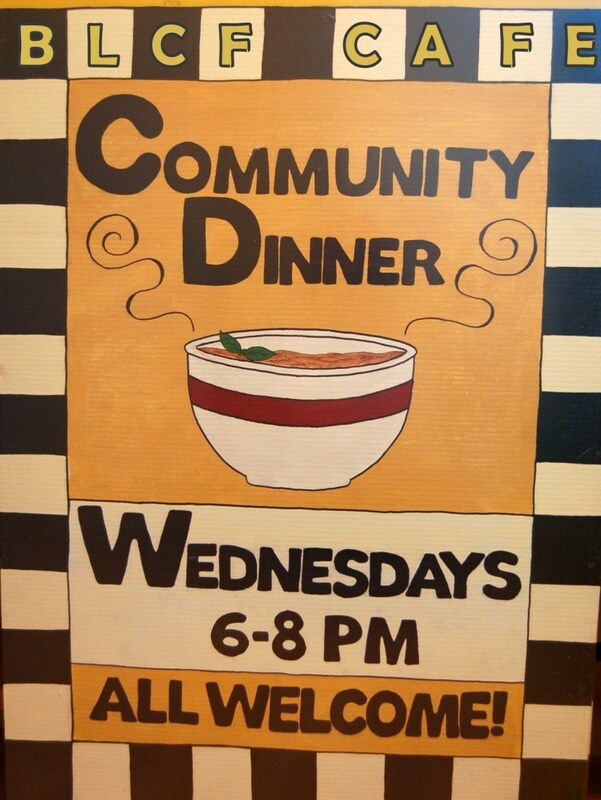 Volunteers, (individuals or Groups) Needed Volunteers, (individuals or groups), are needed to help at the BLCF Cafe Community Dinner, a weekly dinner that feeds over 100 homeless and marginalized people, every Wednesday Evening. 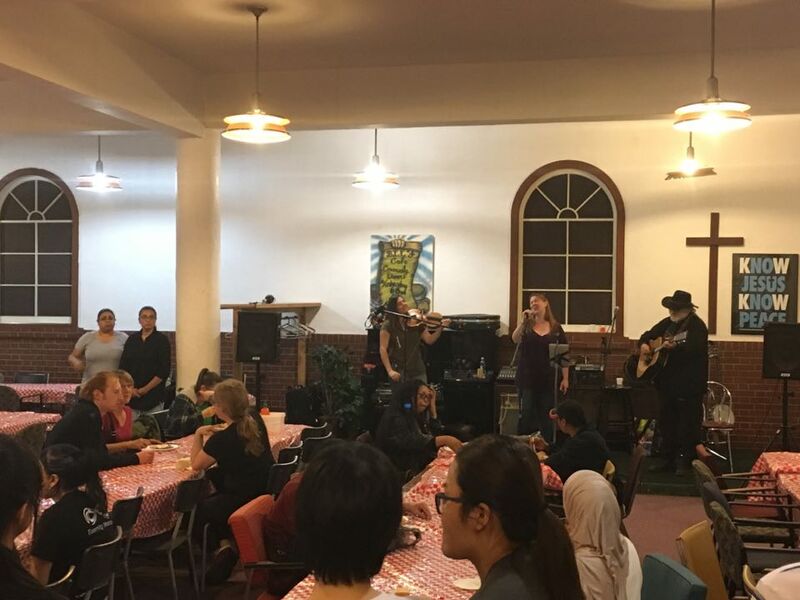 Relying on fundraisers and private donations, BLCF Cafe receives neither government grants nor corporate sponsorship. 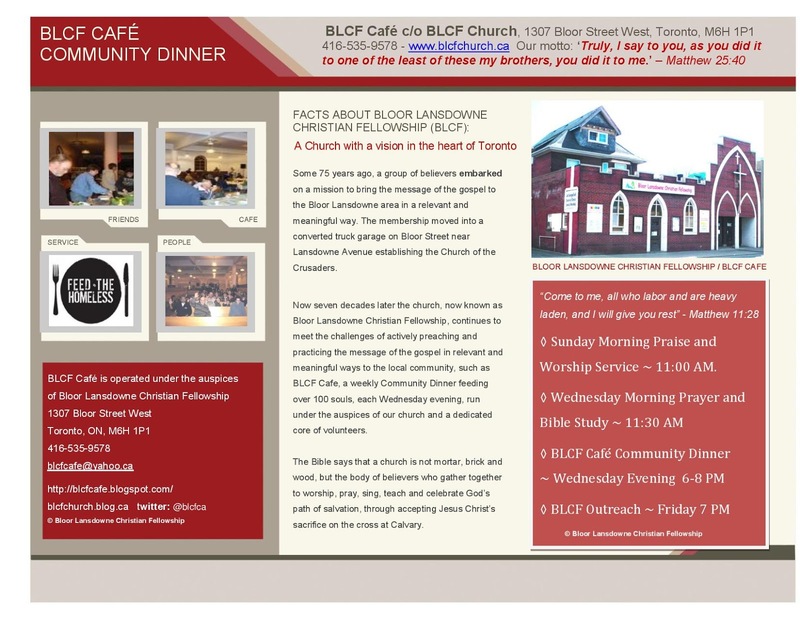 BLCF Cafe does rely on the dedication of volunteers to serve over 7,500 dinners, annually. 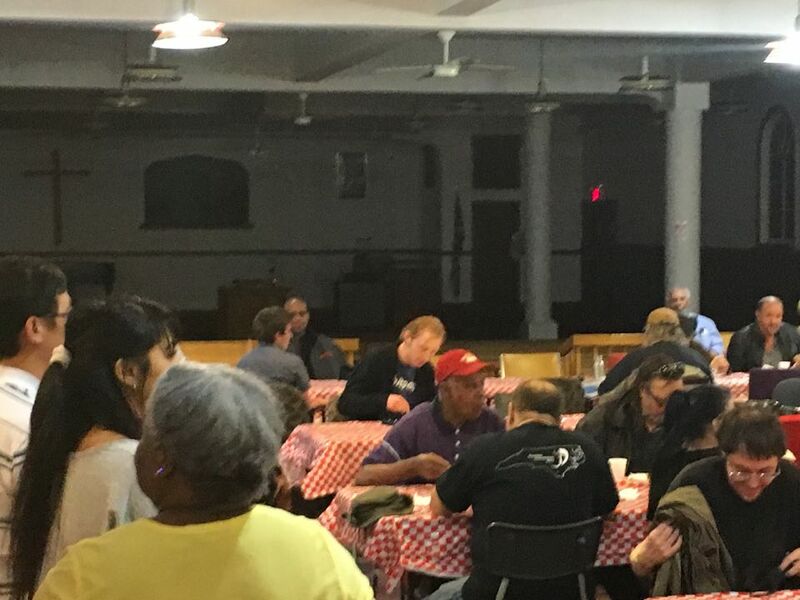 Volunteers serve each guest a wholesome dinner, with dignity and respect. 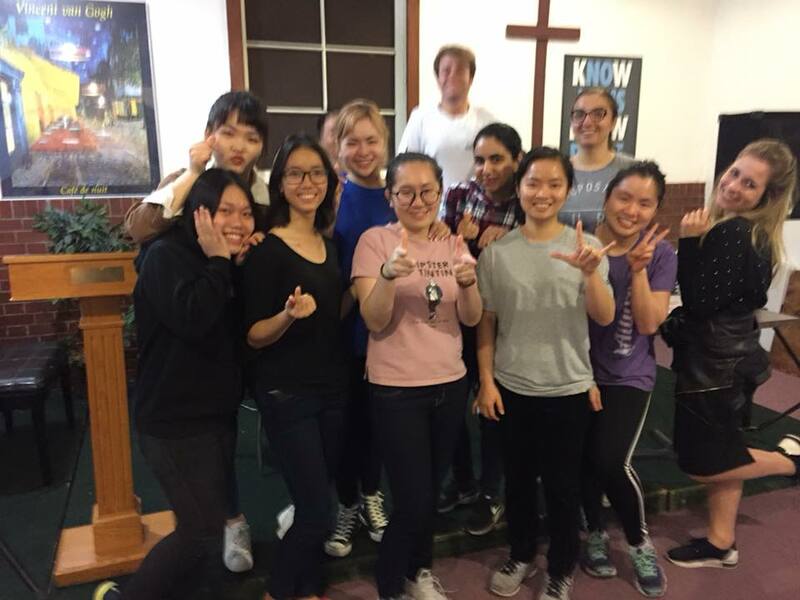 If you are able, why not contribute a few of hours of your time for a great cause? 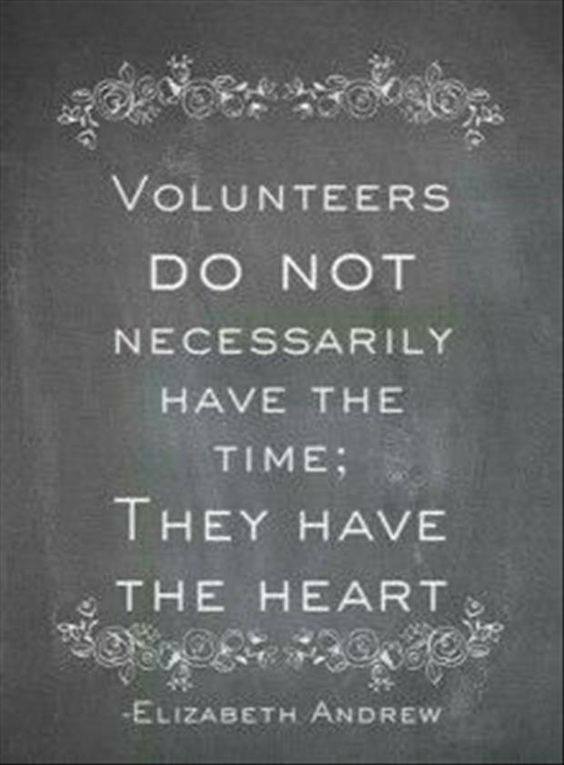 You will be glad you did when you see the smiles on the faces of the people we serve.